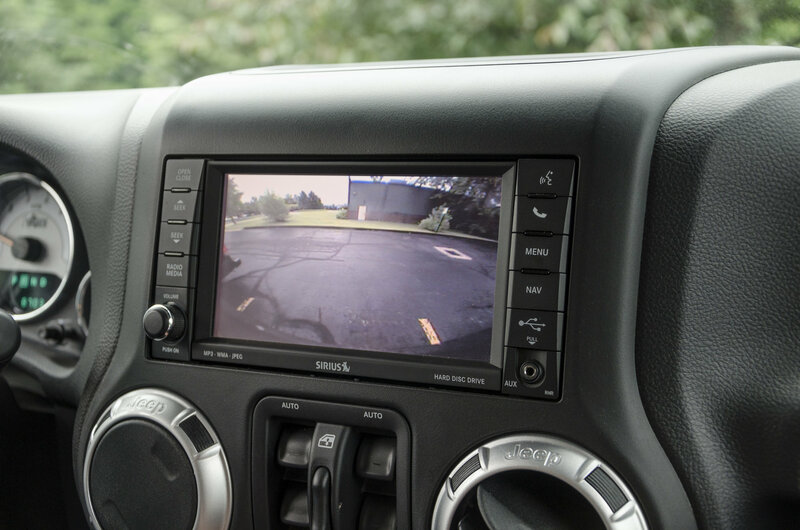 Designed for use with factory navigation systems the JK, customers will appreciate the seamless camera integration that utilizes the OE display screen as a monitor when the vehicle is shifted into reverse. 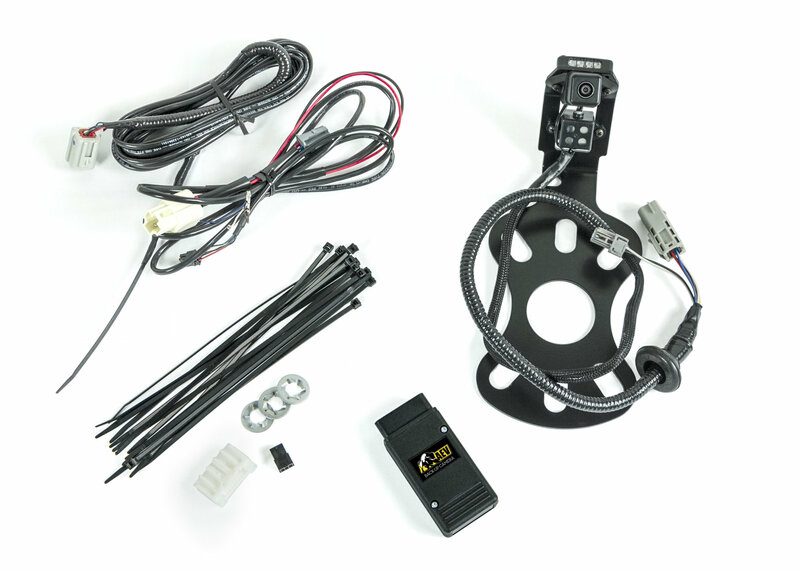 This kit includes a programming module that temporarily plugs into the JK Wrangler's OBDII port to program the radio, eliminating the need to take the vehicle to a dealer for activation. 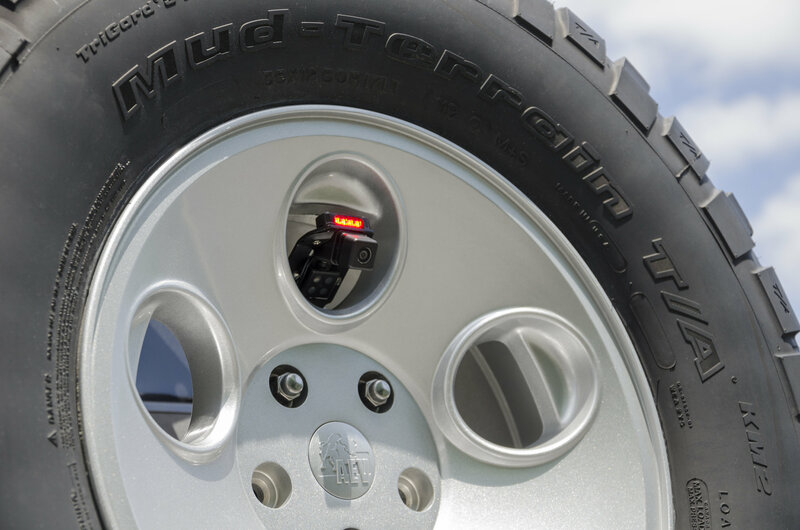 The system is designed to work with an AEV Tire Carrier and includes an all new, second generation CHMSL (Center High-Mount Stop Light) that comes pre-installed on the top of the camera mount. The camera mounting bracket installs behind the spare tire and is designed to work with all AEV wheels and most factory five spoke wheels. Camera bracket did not fit between my rim spacing, had to grind it down a LOT just to make it pass through witch scratched my new rims. Second , had to buy the OEM nav.radio to make it work. You'll be better off getting something else, cost me why too much money and time. Are there any lanes/markers projected as part of the display? Unfortunately the actual kit does not have an effect on the lane guides. If the lane guides are programmed into your computer from the factory then it will be displayed on your nav screen. AEV does not offer a flash for this at this time and I do apologize for that. Does this system work with Manual Transmission Jeeps? Yes, this will work just fine for manual transmission Jeeps. This does not require the VIN matching for it to work. As long as your OEM Sat Nav radio was installed with the factory connectors then this will work just fine.